Make your outdoor spaces more comfortable! Whether you call them solar screens, sun screens, window shades, or exterior solar screens, one thing is for certain – they work! 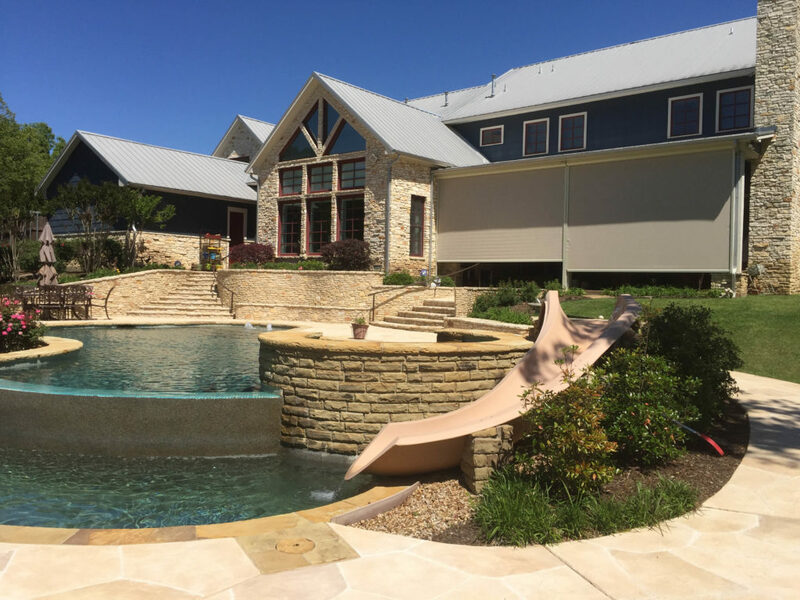 Solar screens are called many different things here in The Lone Star State but one thing is certain – they help cool and protect your living spaces. Roll-Away Solar Screens are offered in a wide variety of colors and options for interior and exterior applications. These options include roll-away exterior solar screens, motorized roll-away exterior solar screens, roll-away interior solar screens, and motorized roll-away interior solar screens. Not only do we offer permanent solar screens for windows, we also offer roll-away solar screens and patio covers with solar screen material. Screened in patios offer a perfect solution to add privacy and protection. We can cover any size patio and in any color of solar screen material to meet your needs and desires. 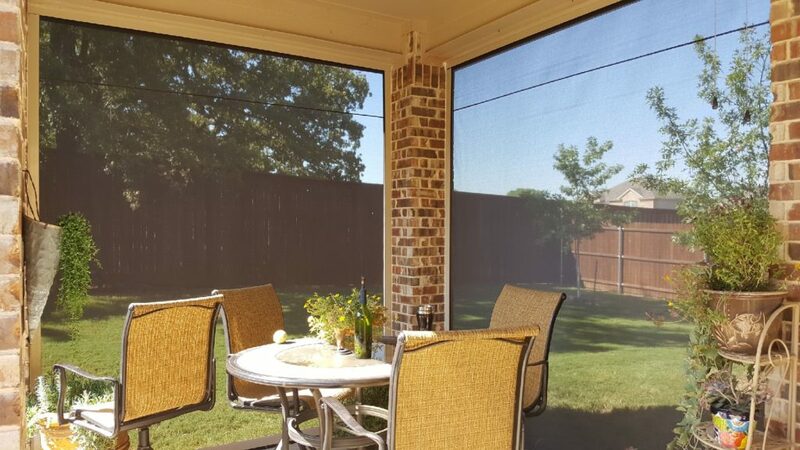 Whether you need to screen a double-French doorway from insects, add privacy to a living space, get protection from the wind, or get a cooler patio….. Longhorn Solar Screens is your answer. Click here to view our gallery! 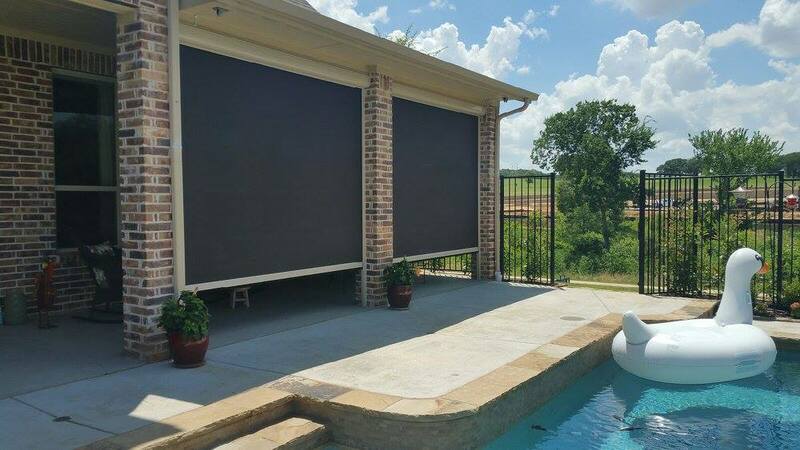 Retractable exterior screen systems are constructed and tested to work cohesively together to provide you a superior system. We offer the only extruded hood for retractable shades on the market. Our hood is 66% thicker than sheet roll formed hoods, making it dent and impact resistant. Our hood side caps feature steel threaded galvanized inserts. Retractable exterior solar screens provide energy efficient sun shading, shelter from insects, and rain and wind reduction. 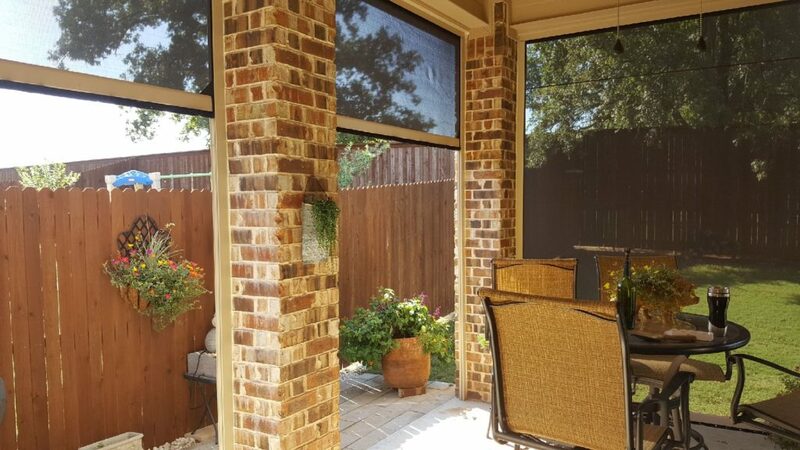 Whether increasing the value of your home or extending the use of outside areas, our retractable exterior screens help enhance the comfort and the energy efficiency of your home. Contact us today to learn more!